The Ocean City Boardwalk on a summer night is a delight for young and old alike. Any frequenters of the Jersey Shore are probably well aware that Ocean City, known for attracting its fair share of families and tourists each summer, is a dry town – the city has prohibited alcohol sales since it was founded by four Methodist Ministers in 1879. Despite this restriction, it appears people in Ocean City are still consuming alcohol – even to excessive amounts – at least that's what one survey found. According to a report from USA Today, Ocean City ranks as the “drunkest city” in the entire state of New Jersey, with 18.3 percent of adults drinking excessively (either binging or consuming heavily). What’s more, the rate of excessive adult drinkers in Ocean City even slightly tops the national average, which is 18 percent. The state ranks 24th overall for its number of adult binge or heavy drinkers. In Ocean City, alcohol-related driving deaths are at 32.7 percent, according to the report. USA Today arrived at these stats through a partnership with 24/7 Wall St., which looked at data from the Center for Disease Control and Prevention to see which cities reported the highest levels of binge and heavy drinking. 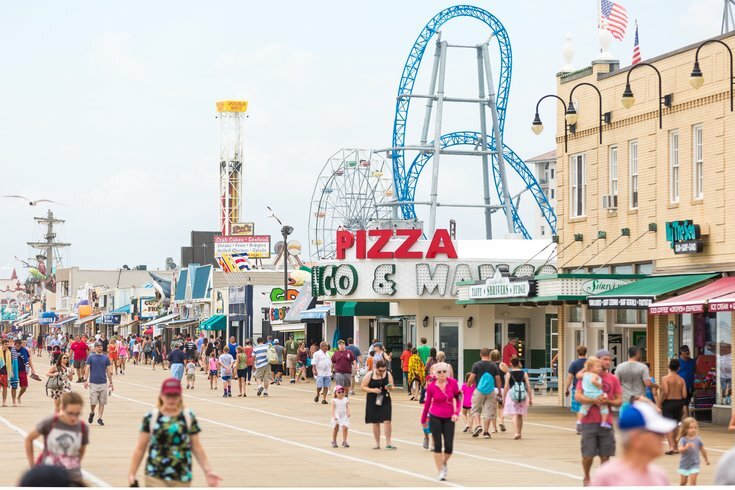 Despite this data, Ocean City residents aren’t pleased with the new title, and many have taken to social media to express their disagreement with the findings. Others have been quick to note that just because a town is dry doesn’t mean it’s impossible to get a drink. Patch points out that the “Ocean City Metropolitan Statistical Area” technically includes other parts of Cape May County, including the Villas and Wildwood, which may have altered the data if considered by analysts as part of Ocean City. Mayor Jay Gillian cited that point as he blasted the report in a Dec. 1 statement. The drunkest city in Pennsylvania is less of a surprise, with State College having a reported 22.3 percent of adult binge or heavy drinking and alcohol-related driving deaths at 29.6 percent. Read the full report at USA Today.